So, this is my last Spink blogpost – I can’t believe how quickly this year has gone. Despite how much I have achieved and all of the work that I have been involved in, it still feels like the year has flown by. The final months at Spink have been a bit different to what I’ve been used to. They have mainly consisted of handing over my tasks to other members of the team to ensure a smooth transition when I leave. It feels a bit strange to be handing over a lot of the work that I have spent so much time on and have become so proud of, but it has also proven to have been a good opportunity to free up my time and start working on more project-based activity. Spink recently started a large campaign on hygiene and behaviour change which has required a lot of my time. The initial work for this client has been predominately research-based, which not only is perfect to get me ready for the daunting prospect of writing my final year dissertation, but has also been an extremely interesting task. I have focussed my research on global hygiene studies and international policies on hygiene, because this is such a broad area it has been extremely helpful at refining my researching skills and ability to pick out relevant data. My placement year at Spink has been such a rewarding experience It has been extremely beneficial in developing skills needed for my final year at university, as well as skills that I will take on with me when I start a career after finishing my degree. This experience has been something that I would highly recommend to anyone thinking of embarking on a placement year as part of their degree, it has given me knowledge and experience that university alone could never give me and has given me an excellent platform to complete the final year of my studies. In the last year, my writing and communication skills have significantly improved, as well as my confidence and motivation. I can definitely say that I am in a far better position to do well in my degree than I would have been if I had not taken the opportunity to do a placement year. Last week marked my 1-year anniversary of working at Spink. The past year has gone incredibly quick and has been full of learning and growing, both personally and professionally. Even just looking back at work that I did at the start of my placement, I can really see how far I have come, in my communication skills, subject knowledge and professionalism. In May I was involved in organising and hosting a scientific conference focussed on air pollution and ventilation, along with one other of my colleagues. My role included collecting abstracts, organising speakers, creating digital assets as well as live-tweeting on the day of the conference. The conference was an absolute success, seeing unprecedented engagement on social media from both delegates in attendance and external stakeholders. After the conference, we were given excellent feedback from a host of professors and industry professionals, Spink were congratulated for hosting a brilliant conference, and I was personally thanked for my involvement in the day. It was a great feeling to work so hard on a project, for it then to be a success and received so well by those who were attended. It was a project that I was really proud of, and one of the highlights of my year at Spink. I was also heavily involved in the preparation for a national awareness day that was especially relevant to one of our clients. For this I created a number of GIFs, mini-graphics and expert quote graphics to be used across the client’s digital platforms. This was an especially enjoyable task for me as I really got to stretch my creativity and design skills, which is definitely one of the best parts of my role at Spink. I was really happy with how the assets came out, it was a great feeling to see them all be posted on social media during the awareness day. Last month Spink chose to put me forward for an industry award for interns working in the field of PR. It meant so much to me that they thought my work was award-worthy, and that I was deserving of the award after the year I have spent as a Digital Marketing Executive. Spink have always been so supportive of me and my work, motivating me to be my best so I am very glad that the hard work has paid off and I have been able to make a good impression. I am so excited to say that Spink have decided to keep me on for a further two months throughout the summer before I go back to university in September, which I am very much looking forward to. Even though I have learnt so much in the past year, there is still so much more that I can do – so I am very grateful to be able to continue my work and gain further experience and knowledge. It’s now the end of April which means that I only have two months left of my placement at Spink. Since my last blog post, I have continued to get involved in new projects, as well as solidifying my knowledge in my other work. One of the main projects I was heavily involved in was an annual awareness week for a male cancer charity. This was one of their main campaign activities for the year, so a lot of work was put into ensuring it was a success. My work involved creating an infographic which educated men on prostate cancer. I really enjoyed being able to use my creativity and see my ideas come to life to create a final piece of work that I was really proud of. For the awareness week, we created a number of different press releases that were distributed to different publications and referenced a new report and survey statistics. This was one of the first times that I had been involved in a large-scale media drive at Spink and it was a great feeling to achieve high levels of media coverage, which included many national newspapers and BBC News. One of my favourite aspects of my role at Spink is the political activity. We are currently helping one of our clients to influence policy in building regulations through involvement in an APPG. It has been really interesting to attend the meetings and see changes starting to commence. I also recently attended the launch of a briefing note on healthy homes at Portcullis House. It’s really inspiring to be in a room with lots of people that are all trying to achieve similar things, especially when MPs are also joining in and being so positive about furthering the cause. Recently, we had a digital training day at Spink where a digital expert came in to talk to us about how to enhance and build on the digital work we do for ourselves and clients. A lot of my tasks at Spink are digitally based, such as managing the Google Analytics and AdWords account, so this was a great opportunity for me to learn more. I came away with lots of ideas and actions to implement for both Spink and our clients. In the past few months I have been given a lot more responsibility within the company, which has been extremely valuable in allowing me to learn fast and develop an in-depth understanding of the public relations field. I’m looking forward to getting stuck in with all my tasks at Spink for the remaining two months and making as much out of my placement as I can. Happy New Year! Another month at Spink has passed by so quickly, and it’s been great to get stuck back into work and beginning new projects and tasks for the year ahead. Although it’s only been a month since my last post, I feel like I have already achieved a lot in this time. I have been given plenty of new tasks and responsibilities that are outside of my normal digitally-based role – something that I have really welcomed and thoroughly enjoyed as it has given me a great chance to improve my knowledge of all aspects of the business rather than just having one specific focus. During this month’s work I have been able to get to know the clients better and gain a more thorough understanding of the work that is done by my colleagues. A campaign on indoor air quality is one example, where I have helped by branding the video, enabling me to improve my knowledge of using video editing software. Spink have also been carrying out a trade media campaign, securing coverage for the video in various trade outlets, and I have managed the coverage and reporting for this activity. For the same client, we have also been doing a lot of political engagement and I have helped by drafting a letter to an MP to voice our clients’ support for a new housing bill which aligns with changes that they would like to see. We are now running social media activity for one of our existing clients – a medical society – which I have been managing. Here, I have been looking for relevant articles that can be posted on the channel, which has been really interesting. Spink are also supporting the client with their congress later this year, so as well as promoting this event on Twitter, I have been creating media lists in preparation for future press activity. The opportunities I have been given at Spink have been so valuable; above and beyond what I believe I would get at another internship. I have been given the freedom to try new tasks and get involved in a variety of projects which has been so great in allowing me to really build up my business knowledge and has given me more concrete experience that I can take into my final year of university in September. The year is coming to an end and I am also finishing the first half of my placement working as a Digital Marketing Executive at Spink. It has been a big transition from university life but has been an extremely enjoyable six months. During the past month I have progressed my digital knowledge, actively going to training sessions and then taking the time to implement new ideas that I have learnt. Earlier this month, I attended an Instagram strategy masterclass specific to health and wellbeing brands. This was a great opportunity to expand my knowledge in managing an Instagram account on behalf of brands and to get some innovative new ideas for future activity. Within the masterclass, we listened to two keynote speakers who discussed how they are able to use the social media tool to successfully grow their business by increasing engagement and awareness among potential customers. This was an extremely useful event as it gave me an opportunity to meet other people who are working in similar roles and learn from other people with first-hand experience. Following on from the digital marketing training that I have received during my time at Spink, I managed the implementation of a landing page on the Spink website. For this activity, I designed the layout of the landing page and worked closely with my manager to publish the page on the website. This is a common method to lower a website’s bounce rates and improve reader retention by laying out all the information they need, rather than being bombarded with too much information when they first view the site. During the past few weeks, I have also been involved in new business pitches, aiding my colleagues in collecting information and coming up with ideas for future campaigns. I really enjoy the opportunity to be creative and explore new opportunities and have been granted plenty of time to allow this to happen. All of which is helping me get a better understanding of how PR and communication works and improving my creative thought process. My work this year has been very interesting and rewarding - I am very much looking forward to the work and projects I can get involved in during 2018 and my second half of placement. I am now about to finish my fifth month working at Spink. The time seems to be going very quickly – I can’t believe that it’s coming up to the half-way point of my placement. As my role would imply, my work is predominantly digitally based so a lot of my time is spent managing the social media accounts of our clients. However, especially recently, I have also been given the opportunity to get involved with other projects that aren’t so digitally based. This has given me a much broader understanding of how a PR agency works and the different roles there are within the agency that I am not directly a part of. A couple of weeks ago I visited The Houses of Parliament to be involved in an All-Party Parliamentary Group about healthy homes and buildings on behalf of one our clients. Spink has a strong focus on public affairs for this client, so I was there to listen to the speakers giving oral evidence in response to a Green Paper draft, whilst also taking notes and live tweeting from our client’s Twitter accounts. Although this meeting was not related to digital marketing, it was very interesting for me to listen and get a stronger understanding of the political work that our client is involved in. Within the last month, Spink have also been preparing for a global digestive health congress, where a number of press releases were published in relation to the topics discussed at the event. This resulted in widespread international coverage and I was involved in tracking all of this coverage and inputting into documents for future reporting. Another big focus for the agency was a new business pitch for a health and beauty brand. I was given the opportunity to be involved with the initial brainstorming session, helping to decide how we were going to structure an impactful and exciting campaign that would win us the new business. I then assisted with the digital and social media aspects for the campaign, contributing ideas to how we can ensure a strong social presence and achieve high levels of online engagement. It’s exciting to be involved with new pitches and I really enjoy having the chance to be creative and come up with ideas that are outside the boundaries of my job description. Last Friday I attended BrightonSEO, a one-day marketing conference that gives digital marketer’s a chance to meet and expand their knowledge. Held every year in the Brighton Centre, close to Spink’s office, it was an interesting day where I could meet more experienced SEO’s and gain knowledge on a variety of aspects in the digital marketing field. The first track of the day I attended was Paid Search in which there were three talks on B2B Adwords Tactics, Remarketing Tactics and Excel Formulas for pay per click professionals. Adwords can be a bit daunting, especially when you have only been using it for a few months like I have, so this was an especially interesting talk to get to grips with the world of paid search, coming away with some solid strategies to use in my daily work. Another track that was particularly interesting was on influencer marketing, the latest ‘trend’ when it comes to getting your company’s name on the radar. It was highlighted that the majority of companies don’t fully understand the value of influencers, throwing money at campaigns with no real concrete analytics to show how successful these campaigns have been. Allyson Griffiths of iCrossing inspired listeners to rethink their approach to influencers and to assess what brands really want out of the partnership? Think, that if you are reaching out to 30 bloggers in the same community, all you are doing is putting the same story out to the same audience 30 times – a waste of money. Strategies need to be put in place to make sure you are getting the most out of campaigns. Other talks that I attended included Technical SEO – a very advanced talk about server-side tweaks to improve your SEO and advanced site architecture – and a keynote from Google’s Gary Illyes, discussing google search, search console, and everything SEO. I really enjoyed my day at BrightonSEO and learnt a lot of new information that I can now use and implement within my role at Spink. It was a great experience to meet other people doing similar work to me and learn from experts. I have now finished my second month working at Spink, in which I have embarked on lots of new tasks and levels of responsibility. On top of my digital work, I was involved in a new business brainstorming session where the team got together to come up with ideas for a new and unique pitch. Alongside the brainstorm, I was involved in undertaking market research, looking into competitor activity and how we could offer something different to the current marketing initiatives that were currently being undertaken in that market. It was great to be involved in this process and to experience the work involved in new business pitches. In the last month, I have supported the preparation and implementation of new social accounts for some of our existing clients. A lot of careful planning has gone into this to ensure the execution of a smooth launch, including the creation of community management guidelines, content calendars and example posts. It’s been really interesting to see the level of planning involved in setting up social accounts, especially when this is something we do so easily and quickly without thought in our personal lives and I am looking forward to seeing how these accounts grow and develop in the coming months. We are also preparing a new product launch for one of our clients, which is another area of the business that I have assisted with. Here, I have helped to plan the social posts that count down towards the new product launch, as well as creating graphics and banners for the new product to generate an online ‘buzz’ around the product. During the last month at Spink I feel like I have really settled into working life. It’s very different to the university life that I am used to, but I really appreciate the structure and routine that work has given me. I now feel more confident within my role and have been able to find my feet within the agency. Last Friday I was able to attend Brighton SEO, a one-day search marketing conference attended by digital marketers from across the country. It was a great opportunity to listen to different talks all about digital marketing. Will be posting an in-depth post on my day soon! I’m Molly, a third-year International Business student from the University of Portsmouth. I have recently returned from a year studying abroad at EDHEC Business School in the north of France and I am spending the next year working as a Digital Marketing Executive at Spink for my placement year. I have been involved in a wide variety of activities during my first month at the agency, from contributing and creating content for a range of social media accounts to updating agency and client websites. I have been given a degree of responsibility within the agency that has allowed me to push myself and gain real-life experience, adding to the theory that I have learnt in lectures and seminars at university. Creating content for social media platforms such as Twitter and Instagram has enabled me to apply my creative skills, which I something I really enjoy. Further to this, I am supporting the agency’s evaluation techniques and now monitor the range of coverage that is achieved at Spink. One of the more notable activities within my first month was attending an All Party Parliamentary Group (APPG) AGM at the Houses of Parliament. 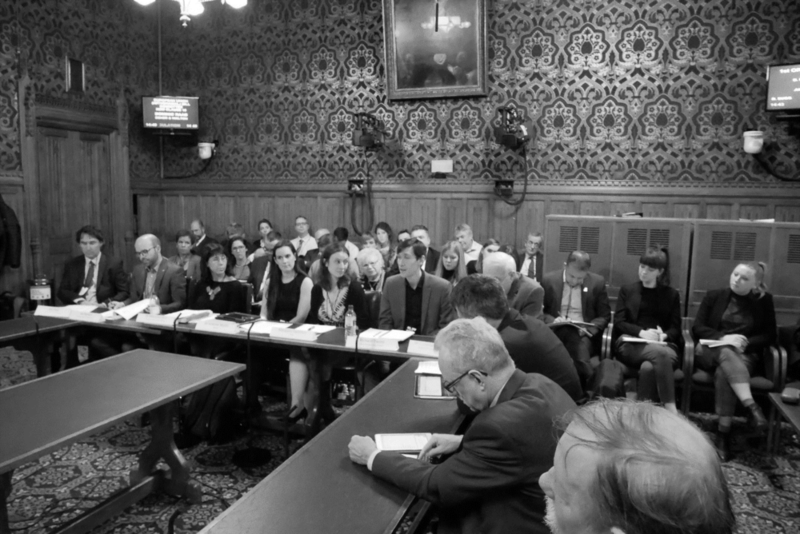 For the APPG, which was on healthy homes, I updated various social media accounts with the highlights, developments and outcomes of the meeting. I have also been involved in internal agency meetings (such as creative brainstorms) and external client meetings, including one with a male cancer charity to discuss their social media offering. I have thoroughly enjoyed my first month at Spink, where I have learnt much more than I thought I would have in such a short space of time. The team are interested in my ideas and give me tasks that really contribute to the agency’s offering, so I feel like a valued member of the team. I am looking forward to the next 11 months at the agency, before I return for my final year at university, and will post regular updates and highlights within this blog.